We can put forth a compelling argument for the gift of design. 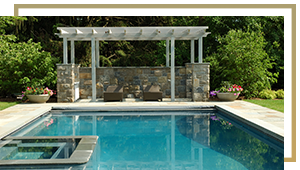 We are IVY Studio and we are a landscape design and build consulting firm based in the greater Boston area. Our practice focusses on expanding residential outdoor environments and we have a proven formula of success that has a strategic three stepping stone foundation of planning, designing and implementing. Contact us at 781-591-0300 or vern@ivystudioMA.com to give the Dad in your life the perfect gift of design. Happy Father’s Day to all the Dads out there!